This is a mapping of genres to words, and words to genres, using words that are used distinctively in the titles of songs. A genre’s words are ranked by how disproportionately they appear in that genre’s songs’ titles compared to all songs. A word’s genres are ranked by the position of that word in each genre’s word list. 1525 genres and 4712 words qualify. Visit “Genres in Their Own Words” And while you’re there, explore the genre map and the other nifty resources at Glenn’s site, Every Noise At Once. As we slip on the headphones, we might spare a thought for Sir George Henry Martin; he died on this date in 2016. A record producer, arranger, composer, conductor, audio engineer, and musician, Martin began his career as a producer of comedy and novelty records in the early 1950s, working with Peter Sellers, Spike Milligan, and Bernard Cribbins, among others. In 1962, while working at EMI/Parlophone, Martin was so impressed by Brian Epstein’s enthusiasm, that he agreed to record the Beatles before seeing or hearing them (and despite the fact that they’d been turned down by Decca). Martin went on to produce 23 number ones on the Billboard Hot 100 chart, 19 of which were by The Beatles. Indeed, Paul McCartney referred to Martin as “the fifth Beatle.” He also produced chart topping hits for McCartney (“Say Say Say” with Michael Jackson and “Ebony and Ivory” with Stevie Wonder), Elton John (“Candle in the Wind”) and America (“Sister Golden Hair”). When The Beatles were photographed in August 1969, striding over a zebra crossing in St John’s Wood, London, for the cover shot of their album Abbey Road they were celebrating a building that had played an essential part in helping them take the music world by storm – and, in the process, turned Abbey Road into one of the most famous recording studios in the world. The names of iconic recording studios – Sun, Muscle Shoals, Motown, Electric Lady, Trident, Sunset – have become almost as famous as the musicians who have created masterpieces at these venues. As we hum along, we might recall that this date in 1963 was the “official” release date of Introducing… The Beatles, the Fab Four’s first U.S. album. But confusion at Vee-Jay, the album’s label, delayed the actual release until January 10 of the following year… one week before Capitol’s Meet the Beatles!. The latter album, however, entered the U.S. album chart one week before the former. And so, while Meet The Beatles! peaked at No. 1 for eleven consecutive weeks, Introducing…The Beatles stalled at No. 2 where it remained nine consecutive weeks. Coincidentally, it was on this same day (July 22, 1963) that The Beatles began their first U.K. tour (with Gerry and the Pacemakers) at the Odeon Cinema in Weston-Super-Mare. Enter a year (in recorded history) and find the words first used then: Merriam-Webster’s Time Traveler. As we root around for roots, we might recall that it was on this date in 1961 that the Beatles played their first evening gig at the Cavern Club in Liverpool. One month earlier, fresh back from Hamburg, they had played a lunchtime set; the club, which had focused until then on jazz, was experimenting with rock. 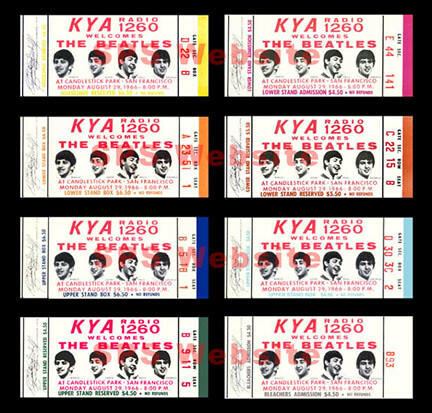 The test was a success, so the club’s owner, Ray McFall, declared Tuesday nights “Blue Jean Guest Night,” and kicked off with Dale Roberts & The Jay Walkers, The Remo Four, and the Beatles. The band swiftly became a regular fixture at the Cavern, attracting a loyal audience to over 290 performances until their final appearance on August 3, 1963. It was, of course, at the Cavern Club that Brian Epstein first saw the Beatles. 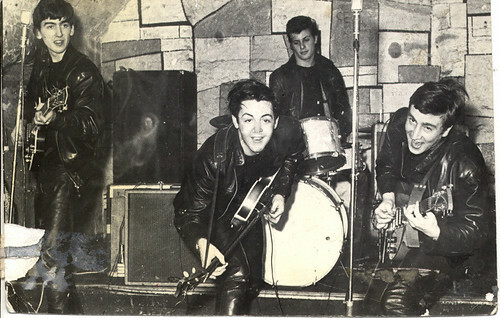 The Beatles (with Pete Best on drums) at the Cavern Club. Best was replaced by Ringo the following year. As we hold our noses, we might recall that on this date in 1964, the Beatles made their U.S. TV debut on The Ed Sullivan Show, performing “I Want To Hold Your Hand” (#1 on Billboard’s Hot 100 at the time) for an estimated 73 million Americans. Metalheads all the world over can agree on one thing: its culture, just like its music, eschews pretense. Nowhere is this better reflected than in Dumisani Matiha, lead singer and rhythm guitarist of Metal Orizon, one of Botswana’s heaviest outfits. On an unseasonably warm afternoon, the 41-year-old is taking time out of his day job as a farmer to explain what distinguishes this metal movement from other scenes spread out across the globe. 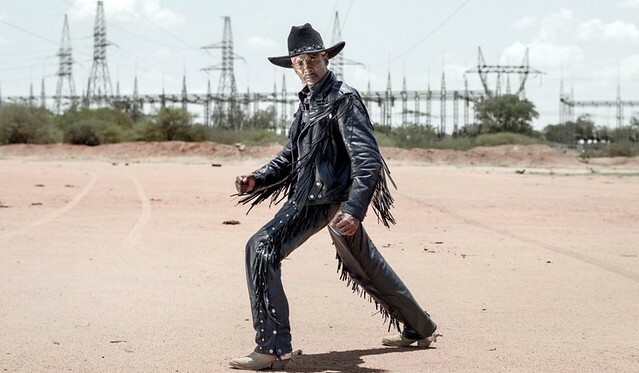 Botswana is 70 per cent desert and most of its metalheads dress in old-school biker gear – made even heavier with studs, chains and all kinds of trinkets – topped off with leather cowboy hats. They are a throwback to a purer time, an era when no heavy metal fan would have dreamed of Metallica and Lou Reed making an album together, let alone calling it Lulu. Before the 18th century, most successful magicians were European, and white. Richard Potter– the son of a slave–changed all that. 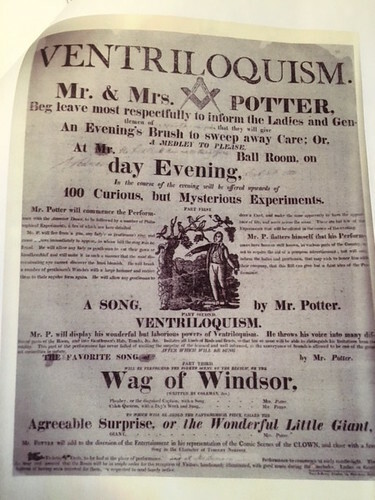 A magician, ventriloquist, and fire eater, he is credited with being both the first American-born and the first Black professional stage magician in the (then young) United States. 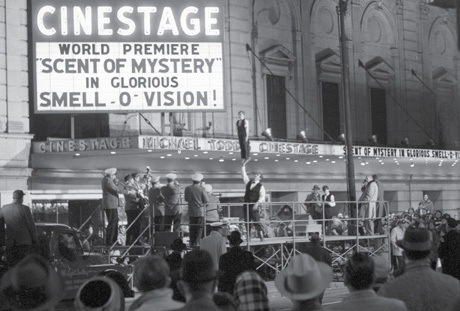 As we say “Abracadabra,” we might recall that it was on this date in 1967, just days after the completion of Sgt. 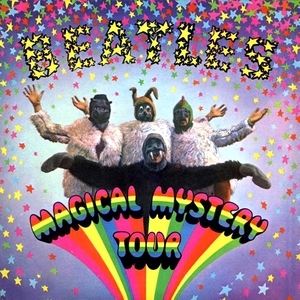 Pepper’s Lonely Hearts Club Band, that the Beatles returned to Studio Three, at EMI Studios in London to begin their next project, a film to be called Magical Mystery Tour. The group laid down the basic rhythm track and assembled the title track’s coach and traffic noises into a tape loop. While the film was widely panned, the soundtrack album (a double EP in the U.K; an LP in the U.S.) went to #1 on the British and American album charts, and was nominated for a Grammy. Around the millennium, [David] Lynch and sound engineer John Neff worked on a number of projects together, one of which was their band BlueBOB (whose “Thank You, Judge” was an example of high-quality streaming video at the time). 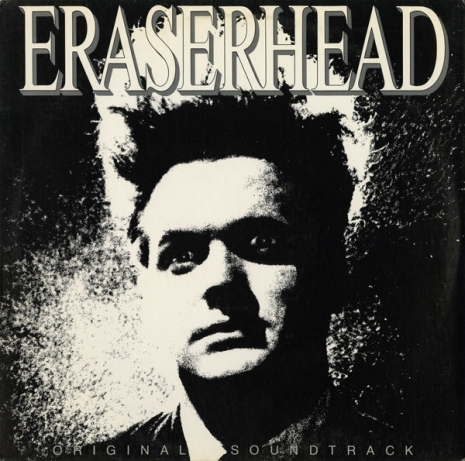 Another was a “restored” CD of the Eraserhead soundtrack released on Lynch’s Absurda label in 2001. “Eraserhead Soundtrack cleaned with Waves Restoration-X Plugins for ProTools treated with the Aphex 204 Aural Exciter,” the liner notes explained. 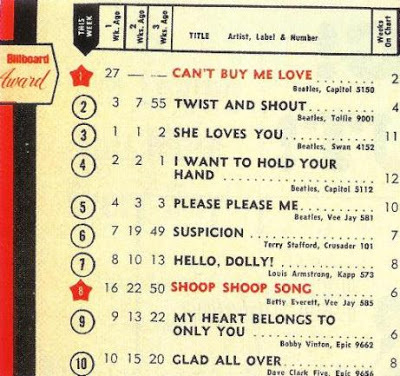 As we tap our toes, we might recall that on this date in 1964, The Beatles had the #1, #2, #3, #4, and #5 spots on Billboard‘s U.S. Singles chart: #1, “Can’t Buy Me Love”; #2, “Love Me Do”; #3, “She Loves You”; #4, “I Want To Hold Your Hand”; and #5 ,”Please Please Me.” It was the first and only time any recording act has ever achieved that feat. At the same time the Fab Four also had nine other singles on the Hot 100 for a total of 14 at the same time– also still a record.